Rhíannon appeared as Special Guest at the Red Hot Music Club in Naas, Co. Kildare. Rhíannon also sang at the AFRI Conference on Human Rights - Féile Bríde in Kildare - other performers involved were Luka Bloom, Steve Cooney, Laoise Kelly and Eithne Ní Chatháin. One of our own, a truly great star! He has played all over the world to rapturous acclaim, and released 2 albums since he last played the Red Hot. Welcome home Luka! Supported by Emily Aylmer & Eddie Sood. The RedHot is a non-profit enterprise. Surplus monies are donated to charities. 'The Last Sunday Showcase' provides a unique opportunity to hear emerging original songwriters perform and takes place in Dublin's newest live music venue The Green Room at the Holiday Inn Dublin City Centre on the last Sunday of every month. ...With an impressive body of recordings already under his belt, Luka's latest offering 'Before Sleep Comes' introduces a soft and beautiful style of guitar playing necessitated in part the recurrence of tendonitis. Singing in a whispery style that draws the listener in, Luka's songs of love, beauty and nature mirror the maturity of both his playing and his songwriting, honed through many years of experience. Reading Luka's biography in no way conveys the power, energy, atmosphere, downright magic of his live performances. One man, a guitar and his beautiful music and songs.... in a word, awesome. Luka's presence as this month's Last Sunday Showcase guest performer is bound to be a very special event indeed. The legendary Luka Bloom plays Barry's Public House, Grange, on Thursday, 29th April. ... among his upcoming Irish dates is an eagerly anticipated gig at Barry's Public House on April 29th. Tickets (€15) on sale from venue. No Irish musician casts a longer or more influential shadow over the current crop of Irish songsters than Luka Bloom (aka Barry Moore). More than Bono, Geldof or Morrison, Bloom/Moore has helped create the figure of the Irish Songer/Songwriter who, alone on a stage with an electro acoustic, sings his/her poetic songs of love and life. Damien Rice, David Kitt and Paddy Casey all follow on from the job description which Moore created for himself in the 1990s. This influence began when Moore, sick of being overlooked in favour of older brother Christy, returned from New York with a fancy blue guitar and a moniker which paid homage to both James Joyce and Suzanne Vega. His debut 'Riverside', recorded in NYC, showcased both his own original writing skills and his preoccupation with the idea of the Irish in America as titles such as 'Dreams in America', 'Irishman in Chinatown' and 'Hudson Lady' clearly show. The album closes with what became a live favourite, 'You Couldn't Have Come At A Better Time'.......... Welcome to Valhalla Luka. Singer Luka Bloom returned last week to the infant school where he first learnt to play music, to help students celebrate a landmark in the school's history. Luka (Barry Moore) was guest of honour at St. Conleth's Infant School last Thursday for a ceremony to raise the school s second Green Flag. The flag is awarded to schools in recognition of their efforts to raise environmental awareness. Over 800 schools nationwide are now taking part in the scheme, with St. Conleth's being the first in Newbridge to receive their second flag, following audit by scheme organisers, An Taisce. A lot of work had been done at St. Conleth's since it received the first Green Flag two years ago, Mr. Weir said. Every child now knew about the Green Flag programme. The future lay in the hands of these children, and it was safe in their hands, he said. Luka Bloom was assisted in the raising of the Green Flag by students Emma McGivern, Julia Hilliard, Joyce Delaney, Bevan O Reilly and Mark Shaw. He then planted a tree to mark the occasion, helped by students Katie Cody, Conor Hanrahan, Matheus Silva, Liam Brown, Michael Cash, Jessica Caffrey, Ciara Dervan and Ann Nikitina. The directions Luka Bloom had given me for his house in Blacktrench, outside Naas, were concise and exact, as simple and direct as his songs on his new album 'Before Sleep Comes'. When I arrived at his house I was unsure of where to enter but then I saw Luka smiling and waving me around to the back door. We sat at a coffee table in his airy open-plan kitchen/living-room as sunlight flooded in through the many big windows. "I am lucky with the sunlight," he tells me, "as it makes the country view even more appealing." He has been living in the house since he built it about eighteen months ago and already the garden has been organised along feng shui principles. There are clusters of daffodils here and there and a beautiful bog-oak piece at the very front. He doesn't have a dog or cat because they would scare away the birds, which he obviously loves judging by the birdhouses and the subliminal birdcalls recorded on the album. The surroundings are peaceful, Luka is easy-going and relaxed, we have tea and chat. Luka Bloom sometimes forgets that some people still know him by a different name. Born May 23rd 1955, Kevin Barry Moore changed his name to Luka Bloom at the age of thirty-two as he headed for America and a new beginning. "I had been sort of struggling in Ireland and then when I went to America I had this sense of 'newness'. At the time I thought to myself 'imagine if I just arrive here as a completely new kid on the block' and the only way I felt I could really do this was to have this Iggy Pop type name." He explains that he took the name from Suzanne Vega's song 'My name is Luka' and Bloom from James Joyce's Ulysses. The simple act of changing his name allowed him the freedom to express himself in his writing. "I feel like I've revealed a lot more of myself in my songs since I became Luka Bloom. I think in some way I lost some of the old self-consciousness. It's almost an embarrassing thing, to be writing songs but there's something about having a stage name that makes it more acceptable, makes it easier." His career as a songwriter began at the tender age of 14 and a few of the early songs were recorded by his brother Christy Moore. Luka has been playing guitar since primary school, first when his sister Eilish brought one home and later when Christy bought him a new guitar. Since then music has been his life. "I'm very privileged and that's why it's so important for me to want to give what I can because I know how fortunate I am to have known at such a young age what a great thing this could be, and then to be able to do it. Besides I wasn't much good as a footballer!" Luka was never drawn to the ballads that his brother was doing but the moment he heard James Taylor, Neil Young and Joni Mitchell he knew where he was heading. "I don't know how it happened because I was just a kid in Newbridge, Kildare, but the minute I heard those guys I instantly connected and that's kind of what I've done ever since." Over the years he has written and recorded an eclectic collection of songs on twelve albums. This variety can be found in the taut emotion of a song like 'Ciara', the sense of fun in 'I'm a Bogman' and the thundering bongos in 'Monsoon'. His new album, 'Before Sleep Comes' is yet another change of direction. The idea for this album resulted from a recurrence of tendonitis and another later problem that resulted in an operation for his throat. "I was only able to play very gentle things on my little Spanish guitar and I grew to really enjoy it. I just went down the local Mill where there's a little studio and recorded it over two nights at 11 or 12 at night when everything was very quiet. I deliberately went in there when my voice was tired because I wanted the thing to be authentic, to be very dreamy." The album is a combination of soothing instrumental tunes such as 'Nora', familiar ballads and whispery original songs such as 'Camomile'. The calm soothing quality of the songs is like having your head caressed before sleep takes over. Luka puts it more poetically in the song 'Before Sleep Comes': "there is a moment of surrender, just before sleep comes, I turn over my life's business to the god of the setting sun." At twenty-eight minutes long the album is just the right length to take the listener to the land of nod. Playing in Ireland is important to him, especially now that he has written new material and he is looking forward to his gigs in Dublin. After that, he is in America in June to give "the place where the first incarnation of Luka Bloom was born a whole new show." A live gig with Luka is not to be missed. He captivates the audience with his charismatic performance and afterwards it is hard to believe that what you have heard came from just one voice and a guitar. Luka Bloom plays the Helix on Saturday 15 May and the Pavilion Theatre, Dun Laoghaire on Saturday 29 May. Luka Bloom concert rescheduled from 7 February to 15 May. at The Helix on Saturday May 15. All tickets purchased for the original date are valid for the re-scheduled date on the 15 May. Tickets can also be refunded at point of purchase at The Helix Box Office 01 7007000. Check out www.thehelix.ie for more information! Club News from Saint Mary's G.F.C. There will be a benefit concert in the clubhouse for the Christina Noble Children's Foundation on Saturday 22nd May. Performances on the night from Barbara Dunne, Mick Broderick and Friends and Special Guest Luka Bloom. Tickets are limited and cost € 25 each. All ticket and raffle proceeds will go to this cause. For information contact Derek Hennessy 087-6377040.
radio service as part of RTÉ's public broadcasting service. Singer-songwriter John Spillane's music choice. Clar ceoil agus amhran den sean agus en nua a chur i lathair o Chorcaigh ag John Spillane. Rattlebag is a live, daily, magazine style radio programme dedicated to the arts and entertainment. On air from 2.45 pm to 3.30 pm Monday to Friday on RTE Radio One and hosted by Myles Dungan. and talks about his new album, Before Sleep Comes. TV3 is Ireland's first national, commercial, independent television network. Ireland AM is hosted by Claire Byrne and Mark Cagney. Luka Bloom will be accompanied by very special guests, Suzi Ng, a classical violinist from Amsterdam and Claudia Chambers from Australia playing percussion on the cajon. Following a sold out show a few weeks ago in Holland this promises to be a truly wonderful evening with songs from 'Before Sleep Comes' and some never heard before new material. Early booking advised. Support for Luka will be Louise Killeen. "A combination of tunes, original songs and familiar ballads, the entire project glows like the embers of a warm turf fire on a bitter winter night..... A soothing balm to any psyche, it perfectly portrays that moment of total peace and calm before sleep comes." When after a short interval Luka Bloom took the stool, the lights dimmed and a hush fell over the crowd. The distinctive finger picking of the softly spoken Kildare man filled the Moon River with sound, as a semi-overture of 'Before Sleep Comes', his new album, lulled the audience into a gentle dream world that matched the intimacy of the gig perfectly. 'Before Sleep Comes', recorded last summer when a bout of tendonitis restricted him to playing gently on his Spanish guitar, is a gem of soft and whispery style playing. Cutting through the countryside and into McGahern country, an unusual moment of art imitating nature had spring lambs and calves grazing on the banks to 'Innocence'. Then at Knockvicar falls, when preening swans again distracted the audience momentarily, the man himself amused, told us that "there's something very humbling about playing a gig when no one is looking at you." Cruising out onto Drumharlow lake, the last of the evening sun broke through a pink cloud and Luka Bloom's beautiful, deep harmonies reverberated through the appropriate 'Venice' (Venus) and classic 'Nora'. Fluid storytelling woven in between each song added weight to the performance and Mike Scott's 'Sunny Sailor Boy', the upbeat 'Summer and Friends', apt 'Thank you for bringing me here' and spine tingling 'Gypsy Music' mesmerised a silent audience that even contained a few token Australians who'd flown over from London especially. Indeed the only sound on the boat was the swish of the air con and the odd ferocious 'shush' to anyone who dared speak! As the light drained from the evening and seeped into the rushes, the lights of Manfred's spilled onto the river at Cootehall while holiday makers on their cruisers played cards under the lamplight and an undoubtedly talented musician, head back and eyes closed put his guitar through its paces. It was a proud vessel that sailed back into Carrick, where looked on by a floodlit Hatley Manor, everyone joined in 'Couldn't have come at a better time'. Several encores later, including the lovely 'Love is a place I dream of' (it is impossible to escape your audience when you're performing on a boat!) Moon River docked and her passengers disembarked, genuinely blown away by a generous two hours of nature set to a truly great soundtrack. And watch this space - brainchild of promoter Aoife McCormack in a bid to bring more acts West of the Shannon, you can expect a few more gigs on Moon River this summer. For those of you who missed out on Luka's sell out gig, he will be back. Just remember to book your tickets to avoid disappointment. 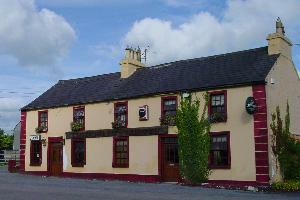 The town of Carrick-on-Shannon has always been a happening place for music and entertainment. In its full summer flush, with the population swellled considerably by tourists the buzz around Carrick is palpable and nowhere more so than on the busy Shannon river. The River Sessions will not stop for the winter either. Promoter Aoife McCormack and boat owner Kenny Murtagh intend to keep the music going throughout the year.... "When I saw Moon River I thought it would be a nice venue to use," said Aoife. "The idea was to bring quality live music to Carrick, to bring good acts who may not otherwise perform here." She has achieved her goal and the proof of her success is visible on the faces of the audiences and the smiles of the performers. "Luka Bloom was our surprise guest in Carlow. He opened with a wonderful set of all new songs, and joined Tir na nOg (Leo O'Kelly & Sonny Condell) at the end to play his beautiful 'Gypsy Music', and Sonny's classic 'Down in The City'." "... Soon as Box Set 1964-2004 is released in March I'm taking two weeks off and then I'm gonna get stuck in to a new album. Luka has written a song for me and there are some other bits and pieces simmering..."
Tonight see's the launch of Gavin Moore's latest offering and first studio album 'Until Today'. It is a collection of ten self-penned songs range from tender love songs, to some hard edged rock influenced compositions............ Christy Moore and Luka Bloom guest with Gavin on track one - 'Your Way Home', while the talents of Wexford lap slide guitarist Clive Barnes, Liverpudlian guitarist Matt Churchill & the melodic voice of Deirdre Hayes can be heard on other tracks. ... there's an honesty and freshness in the production that ultimately overrides the creaking joints. After sell out shows in Europe and stateside, Luka Bloom is back with a blast, albeit a quieter one, to promote his new album 'Before Sleep Comes'. Recorded last fall when a bout of tendonitis restricted him to playing gently on his Spanish guitar, a new soft and beautiful style of playing was born. The internationally renowned singer-songwriter has done it yet again and describes his new work as a gentle non-performance. Singing in a whispery style that draws the listener in, his habitually expressive and reflective lyrics will take his audience on a journey filled with imagery, lulling them into a sense of dreamland. Sensitive and melodious, you wouldn't expect anything less from the softly spoken Kildare man. A combination of tunes, original songs and familiar ballads such as 'The Water is Wide', 'Nora' and 'She Moved Through the Fair', each bear the unique velvety stamp of the man himself. Described by critics as an album that glows like the embers of a warm turf fire on a bitter winter night. 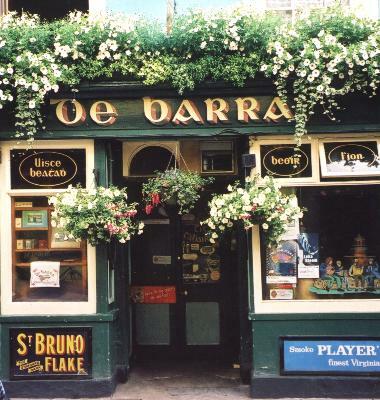 If you are in search of a chilled and intimate evening, then grab a stool and spend it at de Barras. You can expect classic Bloom favourites and some gentle new gems. Tickets € 15.00 on sale @ Bar. Supporting Luka will be Annette Buckley. After sell out shows in Europe and stateside, Luka Bloom is back with a blast, albeit a quieter one, to promote his new album 'Before Sleep Comes'... If you are in search of a chilled and intimate evening, then grab a stool and spend it at Sirius Arts Centre on Saturday 10 July at 8pm. You can expect classic Bloom favourites and some gentle new gems. For more information or to book ticket contact Sirius Arts Centre at (021) 481 3790. The Josephine Marsh Band & more! The Lismorahaun Choir presented 'Spiorad', a concert of choral works and on the following night a Gala Concert -'Spleodar' featuring many of the best traditional and contemporary Clare musicians such as John Spillane; Sean Tyrrell; Chris Droney & The Josephine Marsh Band, entertained the packed castle-courtyard. Luka Bloom also appeared as a surprise guest and delighted the audience. Red and grey clouds whizzed over the top of Cappabhaile at a ferocious rate. It was a spectacular backdrop for Saturday night's gala concert which took place at the Burren College of Art and provided a fine closing scene to days of celebration. The Ballyvaughan college is ten years old this month and a full programme of events was pencilled in for North Clare last week. Co-founded by the late Michael Greene and his wife Mary Hawkes Greene, the education facility stands as an example of forward thinking at its best. So of course, there was plenty to toast....... Then to Saturday night and those menacingly beautiful clouds. The odd eye was thrown to the sky in anticipation of a raindrop, but, thankfully, it never came.............. Local champion concertina player Chris Droney was joined by friends to start Saturday evening's concert and from there, John Spillane took to the stage, followed by Sean Tyrell and the Josephine Marsh Band. Finally a long-time friend of Burren College of Art, Luka Bloom, was unveiled as the surprise guest of the night. Last year, Luka gave the first live performance at the college. It was fitting that he should round off the celebrations with some of his North Clare and Burren fuelled songs. Please Note: 3 June 2004 - cancelled! The Lunny fellow lashed off to the Far East after Glastonbury to leave myself & Declan to face The Cork Opera House two handedly. We did the 4 nights... and we had 4 deadly gigs... We were joined by the brother, Luka Bloom, who delivered four wonderful opening sets and joined us each night to encore with 'City of Chicago' & 'Black is the Colour'. Before Sleep Comes is chill-out music for the soul. Irish singer-songwriter Luka Bloom created this intimate album specifically for late night listening, for those last moments of wakefulness when the imagination remains fertile but the flesh is often worn out. Its purpose, he explains, "is to bring you closer to sleep, our sometimes elusive night-friend." But Luka may have thwarted his stated purpose: he performs elegantly austere new songs and covers traditional ballads in such a quietly compelling manner that one would find it almost impossible to drift off while these gorgeous grownup lullabies are spinning. It was in the early months of 2003 that fate, not design, pushed Luka away from his signature style - the high-energy, quick-handed attack he took on his steel-string guitar - towards a more contemplative approach on a nylon-stringed instrument. A bout of tendonitis in his right hand, a recurring ailment, had seriously sidelined him, making it painful to do gigs or even write songs. While being treated by a physical therapist, he picked up his Spanish guitar and gingerly started to pick. As Luka explains, "After a few weeks of really soft playing, I became fond of it, and began to feel very relaxed with this style of playing, almost non-playing. I began to play ballads, and soon found myself singing and writing whispery songs. I was doing this daily, and by August, I realized that this needed to be recorded." Luka completed Before Sleep Comes over the course of two windy nights in autumn 2003 at the Old Mill, a lovely, off-the-beaten-path studio near Naas, County Kildare. He'd previously cut most of his 1998 Salty Heaven there, the most elaborate production Luka had undertaken in his then decade-old recording career. This time was dramatically different: just Luka's bedroom-volume voice, his Spanish guitar and his midnight confessions, all captured in the wee small hours. "Rarely does quietude translate so powerfully on record," said Irish Times critic Siobhan Long in a four-star review, "and rarer still is the bottling of an artist's personal happiness as successful as this beautifully somnambulant album... Luka fuels this gentle mix of original and traditional tunes (including a finely understated reading of 'The Water is Wide' and an even finer snapshot of the twilight zone that is the title track) with minimum intervention beyond strings and larynx. One for the witching hour." - The Irish Voice simply declared, "It feels like Luka has made a record just for your nightstand." Before Sleep Comes is not so much a radical change for Luka as a deeper exploration of a particular aspect of his craft. He's long been known for creating rousing, anthemic tracks like 'The Acoustic Motorbike', 'Delirious' and 'Perfect Groove' that bring crowds to their feet at his concerts. But Luka has been equally adept at composing romantic slow-burners - like 'True Blue', 'Don't Be So Hard on Yourself' and 'Love is a Place I Dream Of'. Evocative new after-hours tunes like 'Camomile', 'She Sings Her Songs With Open Eyes' and 'Before Sleep Comes' will surely come to rank with the best of Luka's balladry. The Ballyshannon Folk & Traditional Music Festival takes place annually on the August Bank Holiday Weekend. 2004 will see the Festival in it's 27th year. A full programme consisting of concerts and open air concerts on Friday, Saturday and Sunday is always guaranteed. Down in Ballyshannon, everything is set up for the town's 27th annual folk and traditional music festival, which gets merrily under way a week from today. The longest running festival of its kind in Ireland north or south, it has over the years become one of Co. Donegal's major midsummer attractions for music followers from all over the world......... This year's festival (Guinness are the main sponsors) will run for the usual three days from July 30 - August 1, and the organisers are to be commended for putting together a superb all-Irish bill. Friday - Seamus Begley and Jim Murray - The Furey's and Davey Arthur - North Cregg. Saturday - Beoga - The Sands Family - Dervish. Sunday - Sliabh Notes - Luka Bloom - Beginish. Festival director Ray Gaugan tells me that advance bookings have been going well, particularly for weekend tickets, and he has been getting inquiries from Belgium, Holland, England, Scotland and Wales. "What is also very encouraging," he said, "is that apart from our regulars, we have also been taking quite a few bookings from first time visitors. So hopefully, that trend will continue during the coming week." ...... For further info, phone Ray Gaughan at 00353 71 9851088 or visit the website www.ballyshannonfolkfestival.com. The August weekend sees a bumper programme of music at the Glens Centre with the terrific line up of Martin Hayes and Dennis Cahill playing on Sunday August 1 and Luka Bloom playing the following night. On Monday, August 2, Luka Bloom is back with a blast, albeit a quieter one, to promote his new album 'Before Sleep Comes'....... Singing in a style that draws the listener in, his habitually expressive and reflective lyrics will take his audience on a journey filled with imagery, lulling them into a sense of dreamland. Sensitive and melodious, you wouldn't expect anything less from the softly spoken Kildare man. A combination of tunes, original songs and familiar ballads such as 'The Water is Wide', 'Nora' and 'She Moved Through the Fair', each bear the unique velvety stamp of the man himself. Described by critics as an album that glows like the embers of a warm turf fire on a bitter winter night, if you are in search of a chilled and intimate evening, then spend it with Luka at the Glens Centre. Both shows start at 9pm and cost €15 each. Booking in advance is highly recommended on (071) 9855833. Monday August 2nd - 9 p.m.
"I love The Royal Spa. The Royal Spa in Lisdoonvarna is one of the greatest venues. It's one of the best places to play. You're guaranteed a good night and it's one of those sure fire certainties you look forward to. I'd be disappointed if a summer went by and I didn't go down and play there." These are the words of Luka Bloom, aka Barry Moore, singer/songwriter, Kildare native, youngest of the musical Moore clan, and fervent admirer of the Banner county and its inhabitants. The musical troubadour, who has of late released his ninth album 'Before Sleep Comes', takes in the North Clare venue on Thursday next, August 5, as part of a short tour of Ireland to promote the record. Despite a lifelong vocation to touring, recording and song writing, Luka's insatiable appetite for hitting the road, guitar in hand and a bunch of songs in pocket, has not diminished. "One of the things I love about living in Ireland is the opportunity to go around in the summertime and do a few gigs. I love going up to Westport or down to Lisdoonvarna and the various other places around the country one can go to and meet Irish people and a few Europeans. It�s really enjoyable," said the performer from his Cork hotel-room last week. "I've a lot of friends and some family in Clare. Whether I'm doing a gig or writing a few songs or just hanging around it�s always a great joy. I feel a great sense of homecoming when I go to Clare," he added. Luka recently made a surprise appearance at the Burren College of Art's tenth anniversary celebrations in Ballyvaughan. His love affair with this part of the world was evident in his account of that memorable musical episode. "Oh yeah, a fantastic two nights there," was his reply when quizzed about his visit to Newtown Castle. "The college is a wonderful achievement. It's a beautiful place. They built a stage outside in the courtyard and they had the magnificent Lismorahan Choir play there on the Friday night of the celebrations. Then on the second night they had Josephine Marsh, Sean Tyrrell, and John Spillane. I also got up and did a few songs. It was a lovely, lovely night." Luka readily admits that Clare, it�s music and musicians played a big part in launching his career. Back in the seventies Barry Moore was, as he describes himself, "a finger-picking folkie". He did gigs around Ireland, from the Meeting Place (a hot spot for music in the 70s and 80s) in Dublin, to McGann's in Doolin. In 1977 he toured Germany and England as part of the group 'Inchiquin', the other members being Claremen Noel Hill, on concertina, and fiddler Tony Linnane. Micho Russell was also part of the tour and Barry became close to Micho. His song 'Hands of a Farmer' is dedicated to the late musical legend from Doonagore, Doolin. "I remember that German tour so well," he reflected, casting his mind back on a madcap sojourn as a young hopeful. They did 27 dates in 30 days. "I was asked to go to Germany on one of those Irish Folk Festival tours with Noel and Tony. De Dannan were on the bill and so too were Andy Irvine and Mick Hanly. There was Jackie Daly and Seamus Creagh, and also Micho Russell, my great hero, a man I loved very much, a great Clareman. I had a wonderful time, particularly with Noel and Tony. It was a special experience and one of the first lengthy tours I did. I have nothing but fond memories of that time, both playing with Inchiquin and getting to know all these other people. Some of them, particularly during the seventies, were legends of the revival of Irish music," he said. 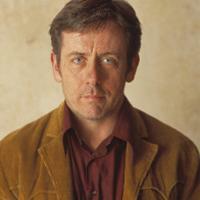 In 1987 Barry Moore left Ireland and moved to the USA, where he changed his name to Luka Bloom. "I lived in Washington DC for a year and then I moved to New York, where I stayed for three or four years." While in the Big Apple he got his big musical break. "Living in New York turned my whole working life around," he said. "I encountered an openness to my songs that kick-started 17 years of my career and I'm still reaping the rewards of that time today. I had a residency in The Red Lion on Bleecker Street, and that's where Warner Brothers and all the other record companies came to see me play. They signed me and off I went." Now happily repatriated in his native Kildare, Luka still tours the world and a recent return to American shores last June allowed him to realise that US audiences still value his talents. "It was a great trip," he mused on the Stateside visit. "I've written an entirely new show. The kind of gig I'm doing is very different from what I would have been doing a year ago. So to go to America with a new show was a little bit daunting. But people really loved it. I feel rejuvenated now with the new set and I think I'm shifting slightly into a new gear. I sort of feel like, once again in my life, I'm at the beginning and I'm really enjoying my songs and enjoying singing them." Clare, Clare music and Clare people are very much part of that experience. The spirit of Micho Russell and a musical journey that began in Germany 27 years ago still shine clearly in Luka Bloom's eyes. Make no mistake, his Royal Spa show will certainly be a special one. Luka Bloom plays The Royal Spa, Lisdoonvarna on Thursday, August 5. Doors open at 9 pm. For information contact 065-7074288. Luka Bloom is playing live in the Riverbank Theatre in Newbridge with Alyanya. Kevin Barry Moore was born on 23 May 1955, in Newbridge, County Kildare. The youngest of six children he was born into a very musical family and started writing and honing his guitar playing skills from a young age. He first took to the road at the tender age of 14 on a tour of English folk clubs�that was back in 1969. 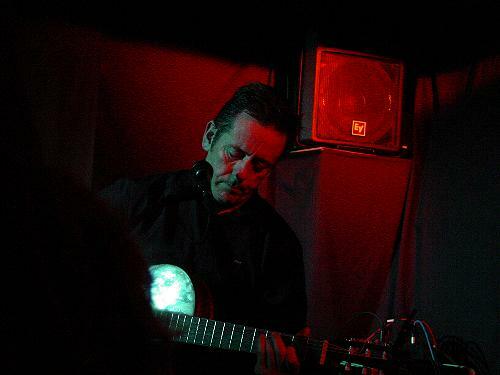 Barry has toured extensively in Europe and the US, and has made his home in various locations along the way, including Holland, Washington and New York. It was while travelling to America that he thought new country, why not a new name. And so some 35,000 feet above the Atlantic Luka Bloom was born. The name came from Suzanne Vega's song 'Luka' and James Joyce's 'Ulysses'. The people of Ardoyne today put their recent troubles behind them to launch an eight-day programme of events for this year's Fleadh Cheoil. North Belfast Assemblyman Gerry Kelly was due to launch the Ardoyne Fleadh at the Flax Centre today. And with events ranging from music and drama to sport and debate, the programme - from August 7 to 15 - aims to be bigger and better than ever before. Fame Academy star Sinead Quinn, Irish singer Luka Bloom and Italian group Folk Rose are just some of the performers taking part in this year's fleadh....... Many of the events are free but a ticket for the open-air concerts taking place over the weekend will be £5, with one ticket covering the entire weekend. As so often, there are some tough choices this weekend between the various musical delights on offer... Problems again, though, as Sunday is the best night to get along to the Ardoyne Fleadh's open air concerts, with Luka Bloom and Bavan among the temptations. Bavan is that fine duo Meabh O'Hare and Conor Byrne, on fiddle and flute; Conor is a nephew of Luka Bloom (his mother is Eilish Moore) and is the spitting image of a younger Luka. His latest album is called 'Before Sleep Comes' and has been described as "Nine Soft songs for insomniacs, running time 28 minutes, Sweet Dreams, Luka". 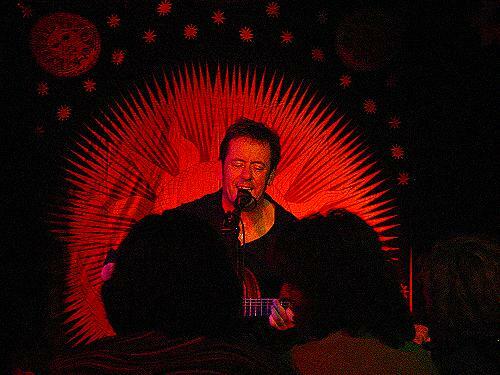 LUKA BLOOM, brother of Christy Moore and accomplished singer songwriter in his own right, will make a welcome return to Galway on Friday 17 when he plays in Campbell's Tavern.... Tickets for his upcoming gig in Campbell's are available from Mulligan Records at (091) 5649561 or from Campbell's Tavern at (093) 35454. For more information on Luka Bloom see www.lukabloom.com/biography. guitar playing, his fine voice and his warm and passionate delivery. at Our Lady's Hospital for Sick Children and a local charity South Kerry Life Education. An opportunity to experience some of Ireland's bestknown singer songwriters, while raising funds for a worthwhile charity, this week the Gleneagle Hotel will play host to a charity concert in aid of local group the South Kerry Life Education and Our Lady's Hospital for Sick Children. The line-up for the concert includes local maestro Ian Whitty, who will be joined on stage by Glen Hansard, better known as the front man of The Frames, Mark Geary and Roesy. The concert is part of an ongoing fundraising campaign to raise funds for both charities ... Our Lady's is one of the largest hospitals in the world devoted exclusively to children ... Local charity South Kerry Life Education is a registered charity visiting primary schools and offering age appropriate information on issues of health and substance abuse awareness. Luka Bloom makes his way west this weekend to perform in Siar O Thuaidh in Kane's Bar Ballyferriter on Sunday, October 3rd. It is sure to be a memorable performance in this unique setting from an artist who has been making fine music over the oast three decades. In 1987 after working away in the music business in Ireland, Barry Moore made the decision to head to America and check it out!.......... Luka's performance is summed up in his own words - "Every gig is precious. Whether the Spa in Lisdoonvarna, Carre in Amsterdam, or the Melbourne Concert Hall, the privilege is the same, as is the commitment to the gig." - and you can expect that same commitment in Siar O Thuaidh on Sunday October 3. The gig starts at 9pm and tickets priced €15 are available from Kane's Bar and the Dingle Record Shop, Green Street, Dingle. The music club Siar Ó Thuaidh [pronounced shear o whoig and roughly translating into the English, Three Sheets to the Wind], was established on mid-summer's night 2002. The venue, the most westerly in Europe, is situated to the rear of Kane's Bar, Ballyferriter and caters for an intimate audience of just over 50 people. The club has attracted the best of local, national and international musicians and is now part of the regular circuit for national tours.The club has hosted performances by Luka Bloom, Maria Doyle Kennedy, and Glen Hansard (The Frames) among others..... Siar Ó Thuaidh hopes to expand the variety of events in the coming year. Concerts start at 21.30 unless otherwise stated and tickets for concerts can be purchased in the bar. 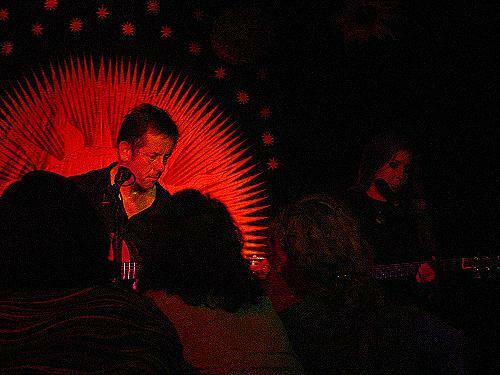 Luka Bloom kicked of proceedings for the month of October with a sell out concert in the club on Sunday the 3rd. A well seasoned performer Luka played a memorable non stop 2 hour concert to the delight of a captivated audience with songs from his new album Before Sleep Comes along with many of his hits over the years. A huge audience gathered in Ballyferriter to see singer Luka Bloom in Siar O Thuaidh in Kane's Bar. It was truly memorable performance by the Kildare man, AKA Barry Moore. This was a unique setting for the gig from an artist who has been making fine music over the past three decades. Luka sure got a huge reception in the heart of the West Kerry Gaeltacht. Back in 1987 after being involved in the music business at home for a number of years Barry Moore made a decision to head off to the United States. Before he left home he changed his name, getting inspiration from the Suzanne Vega song 'My Name Is Luka'. Bloom came from James Joyce's Ulysses, so on his transatlantic trip to New York Luka Bloom was born and the rest is history. A sort of homecoming. Christy performed with Declan Synott, Donal Lunny & Luka Bloom at this hometown venue for the first time in over 20 years. As a special guest of Christy, his brother Luka Bloom opened the show with a bit of humour. "I just flew in from Blacktrench here this evening, and this is a song I wrote about summer and friends called 'Summer and Friends", before launching into a short 30-minute set of beautifully written, and easy listening songs. His next song had a similar tale. Written about his time as an altar boy (a time which he recalled as an enjoyable experience, he said "this song is about the innocence of being an altar boy". Appropriately titled 'Innocence', it was followed by 'Miracle Cure'. He continued with a song about Mohamed from Nigeria (Algeria) called 'No Matter Where You Go, There You Are' before he proceeded to tell us about the 27 years he has spent living in several cities throughout the world. "I sang this next song in Finland last week, and I asked them how you'd say 'I'm A Bogman' in Finnish, and they said 'Ole Yenti'," and he finished the six song set by dedicating his final song to Christy, Declan & Donal with the suitably titled 'Thank You For Bringing Me Here'. There was no interval so Christy and the lads made their way onto the stage immediately and kicked off with a couple of ballads............ His locals gave him a standing ovation and ensured he return for an encore. "It's good to be back in Newbridge with Declan & Donal, and my brother Barry" he shouted on his return, before himself and Luka performed a duet on the formers 'City of Chicago'. They finished with 'Black Is The Colour' almost two hours after walking on stage and from the audience reaction he is still a God in these parts. a celebration of Irish Music. When last year over 20 musicians gathered in the most westerly town in Ireland to perform in front of a small but privileged audience in a 200-year-old church, nobody could have predicted the success. The 'Other Voices' Album went to number one and helped raise awareness of contemporary musical talent in the country. With such a response and huge interest from musicians, bands and music fans a second series has recently been filmed in Dingle, County Kerry and will begin broadcast on Tuesday 10th February on RTÉ Network 2. Presented this year by Jerry Fish the second series of 'Other Voices, Songs from a Room' brings together musicians from various backgrounds, traditions and disciplines to celebrate the sounds and styles of Irish music and voices. In a region steeped in tradition and heritage that has long attracted musicians from different disciplines, cutting-edge artists gathered at the most westerly point of Europe for a week in December, and in this very special atmosphere created an exciting mix of modern sounds and new voices. Once again 'Other Voices, Songs from a Room' captures a moment in music time and gives audiences an unmissable opportunity to witness and experience the diverse sound of new Irish Music as it echoes out from the west of Ireland. The second show in this series features Irish singer-songwriter Luka Bloom. Other Voices: Songs From A Room, Friday, 11.50pm, RTE 2: Jerry Fish presents the first of two compilation programmes featuring a wide variety of acts who performed in St James's Church in Dingle, Co Kerry, earlier this year. Among the performers are Gemma Hayes, Luka Bloom, Pauline Scanlon and Rodrigo y Gabriela. This evening is in aid of two Clare organisations: Caring for Carers and Clare Care. Nuala Fitzgerald, an Irish/Canadian actress. HSF Health Plan, the trading name of Hospital Saturday Fund has been in operation a health cash plan in Ireland for 55 years. In 2003 it moved its national office to Ennis and through its Charitable Trust it helps medical charities, hospitals and hospices. With this in mind, a benefit show in aid of 'Caring for Carers and Clarecare', featuring Luka Bloom, with Alyanya and Nuala Fitzgerald will take place at Glor Irish Music Centre, Ennis, on Friday night, November 19, commencing at 8.00p.m. Admission to this show will be €20 with children under the age of 16 years costing €12.50. Tickets are available from Glor Box Office 065 6843103. The troubadouring Moore brothers are no strangers to Clare - in fact they could call the place a home away from home, such are their longstanding links with the county...... His younger brother Luka has carved a niche for himself on the same circuit and has played many gigs in Clare down the years. Only last year Luka showed his support for those protesting against the use of the airport by the US military by visiting the Shannon Peace Camp. His song Fertile Rock became an anthem and benefit song for those opposed to the building of an interpretative centre in Mullaghmore, while last year he also joined forces with Christy to play a benefit gig in the Armada Hotel organised by his nephew who lives in Spanish Point. Now, Luka is on his way back to Clare for another benefit gig that takes place in Glór on November 19. He has been busy touring these past months with shows in the United States, Belgium, Holland, Finland and of course here at home. He will be performing songs from his current album, Before Sleep Comes, and showcasing new material. This concert is being sponsored by HSF Health Plan, the new name for the Hospital Saturday Fund, which moved its national office from Dublin to Ennis in 2003...... "It was making this link with Caring for Carers which inspired HSF to think of a way in which the organisation could be even more identified with Ennis and County Clare," said Keith Bradley, chief executive "What has been a really big coup is that Luka Bloom is going to appear and give his services for what we know will be a great evening," said Sharon Phelan, HSF office manager and the local contact for the show. Nuala Fitzgerald will also be performing in the show with Luka. She is a Dublin woman who has lived and worked in Canada for some years. She is a noted actor with many films and television programmes to her credit. She will be performing Cupla Focal, a piece which she devised herself. She has chosen her favourite pieces from great writers and delivers them with warmth, sincerity and fun. Completing the trio is Alyanya. A young Dublin singer songwriter, she has been touring with Luka Bloom for the past couple of years, and is currently working on her first album. 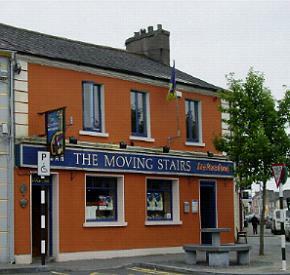 Moon River, Carrick-On-Shannon, Co. Leitrim, Thursday 25th Nov.
Luka Bloom will go on board Moon River at The River Sessions on Thursday November 25. He sold out in June in a matter of days and no doubt he'll do the same again, so it is recommended that you book as early as possible. Tickets, priced at €18, are available at Murtagh's House of Fashion, Main Street, Carrick-on-Shannon or by calling (071) 9620098. Doors at 8pm, sailing at 8:30pm and returning to quay at 11.30pm. Here's what Luka has to say about his last year to date: "This is a gas old year indeed. It started with uncertainty; with tendonitis restricting my guitar work, and then a throat problem which caused the sudden cancellation of my Australian tour. It's a weird thing when you are gearing up for travel and songs only to be stopped in your tracks. So I went quiet. Through these quiet months, I got into a new writing groove. I have penned a lot of songs now and yes, the work on the new CD has already begun." Luka has since toured the States and with more dates in Europe under his belt he's gearing up to get back into studio to put the finishing touches to his new CD. 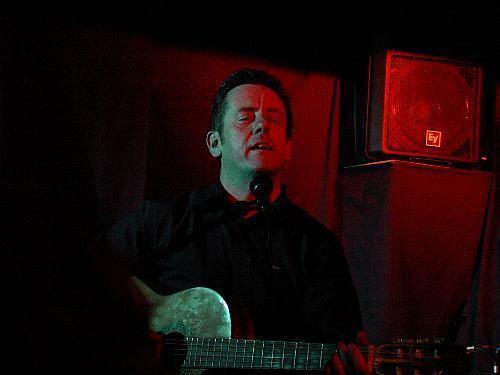 If you are in search of a chilled and intimate evening of music with Luka Bloom while sailing down the majestic Shannon, then grab a stool and get on board the unique Moon River and relax in the magic of The River Sessions. All proceeds to benefit Sirius Arts Centre's Restoration programme. Support was ably provided by Luka Bloom whose talent as fine singer/songwriter shone through. It is Bloom's ability to both reflect the times we live in with songs like No Matter Where You Go, There You Are and the days gone by with City of Chicago that make him a compelling performer. It was refreshing to see that the audience was a mixture of young and not so young. Indeed some of those present weren't even weaned when Planxty took to the stage for the first time. But for the older members of the audience who remember the group in the early days, I am sure it felt like 1972 all over again. - N.E.